Grab the recyclables, toss the kids in the car (gently! ), and head to a local creek. 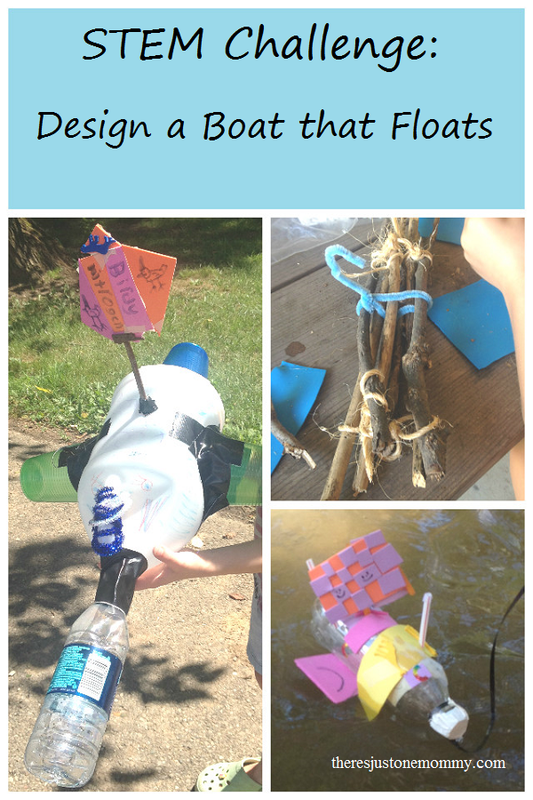 It’s a great time for a simple STEM challenge: design a boat that floats. 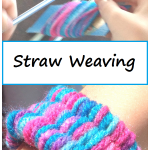 This is one of our favorite STEM activities, and can be done over and over as the kids get older and their designs become more sophisticated. 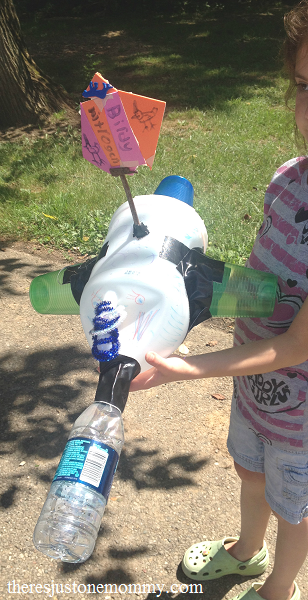 If you want to give this project a new twist, check out our balloon boat challenge and see if your child can power their boat with a balloon. Our homeschool group got together at a local park with a creek to do this challenge. 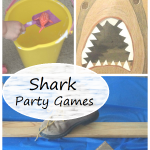 You could also test your boats out in a pond, kiddie pool or even the bathtub. Wherever you go, I guarantee the kids will have fun, and learn something too! 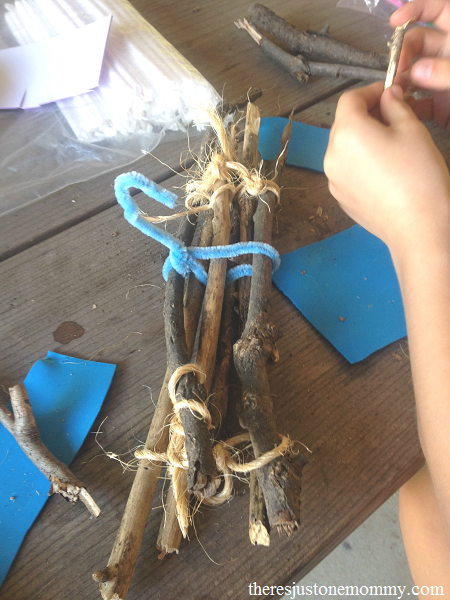 We spread all the materials out on the picnic tables at the shelter and gave the kids plenty of time to get creative. Craft foam and card stock were popular choices for making sails. These both hold up fairly well to a bit of water, unlike light weight paper choices. It was fun to see their minds all working: thinking, designing, and building. 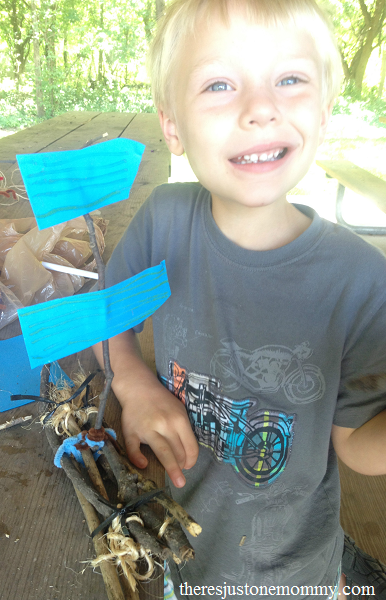 Once they were happy with their boat’s design, it was time to decorate with stickers, permanent markers, pipe cleaners, and whatever else they found. 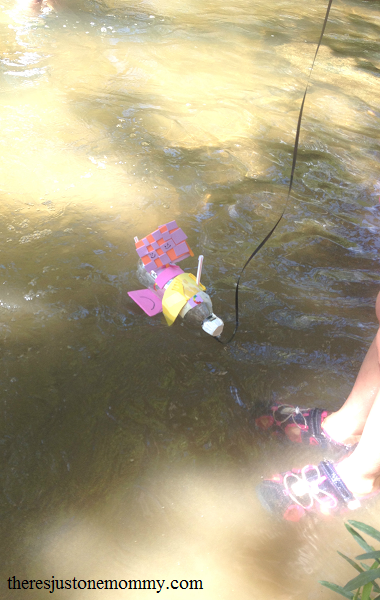 Then it was time to test out the boat designs! They were thrilled to see that all the boats they designed stayed afloat. 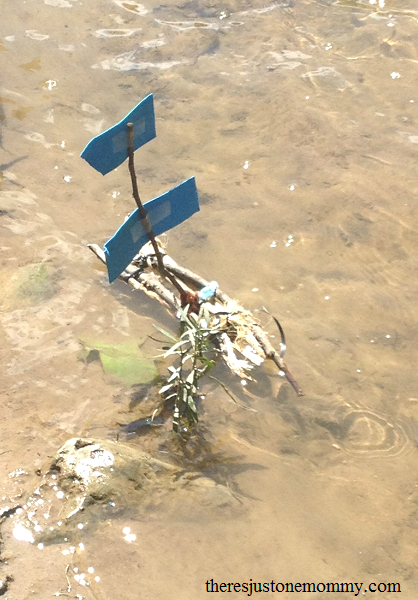 A piece of ribbon, tied to the end of the boat was a good solution for keeping them from traveling too far down stream. 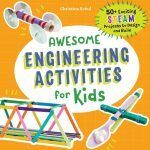 Want to increase the STEM challenge? See how much weight the boats can hold! Pennies or small pebbles make good weights. See how long the boats stay afloat. Use a timer to see which boat floats the longest. Brainstorm reasons the boat floats longer than the others. Find ways to waterproof the boat. Will plastic wrap work? Packing tape? This is so awesome!!!! Pinning and sharing. ? Thanks for pinning and sharing! 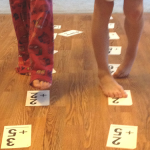 It was definitely a big favorite in our homeschool group! What a great post! So many fab pictures!! I bet the kids loved that! We did something similar ages ago, we should really do it again! Thankyou for the inspiration and for linking up to #busydoinglife, it’s great to have you joining in! Hope your kids have fun building their boats! What a great challenge to get kids thinking! I wish we had a local creek to head to – the best we can do is our bathtub, lol! Great idea! I know my boys will love it. I think it was one of my son’s favorite activities we’ve done. He actually made 2 boats that day and wants to make more. Hope your boys have fun! Some great ideas and a wonderful way to recycle some materials as well too. Thanks for joining in with the Frugal Family Linky. We love to use the recyclables whenever we can!